Official Opening and Launch Party…and an introduction to COMIC BOOK EMBASSY!! | Ty Templeton's COMIC BOOK BOOTCAMP!! Official Opening and Launch Party…and an introduction to COMIC BOOK EMBASSY!! for COMIC BOOK EMBASSY and COMIC BOOK BOOTCAMP! The members of the Comic Book Embassy, who share 392 Spadina Avenue (Second Floor) with us, are having a party THIS SATURDAY September 29, to officially open the space, and to celebrate the launch of Megan Kearney’s Beauty and The Beast webcomic and Brice Hall’s first self-published comic, The Adventures of Adam Brochu. The party is at our shared location, 392 Spadina Avenue, Second Floor, Toronto, and will run 7:30ish to midnight-ish. The Comic Book Embassy currently has four full-time members. Megan Kearney is a graduate of Sheridan College’s prestigious animation program. She works in animation, advertising, comics and more. 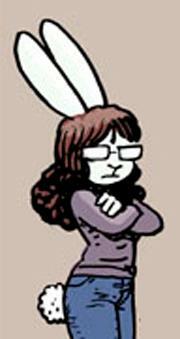 Beauty and The Beast is her first webcomic, but not her first comic work–Meg was a creator on Holmes Inc. #3 this year. She provided the artwork to Daniel Reynold’s story, Flight Lessons. 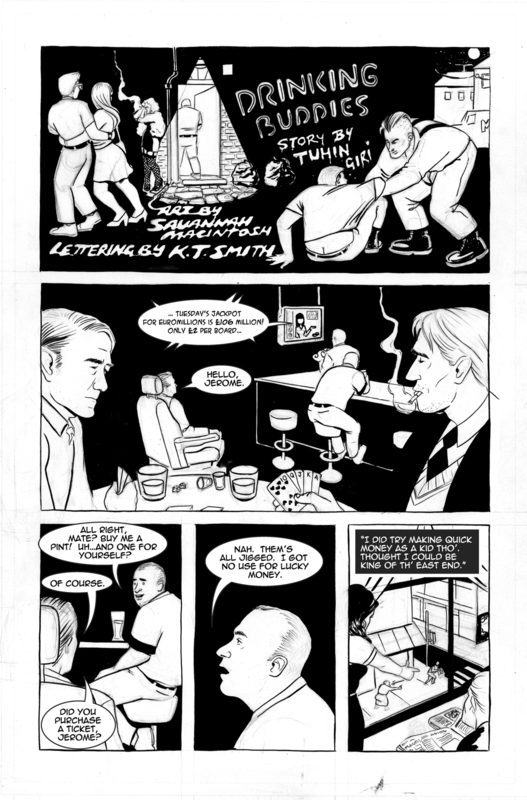 Sam Noir was also a contributor to this year’s Holmes Incorporated–that’s where this group of skilled illustrators and writers met. After Wednesday meetings, the creators would go out for coffee and pizza cones (yep, it’s a thing! ), and talk about their work, and what they hoped to accomplish. Eventually, one of them talked about how great it would be if they could work together and keep that “Wednesday night meeting feeling” going…and thus, the Embassy was born! 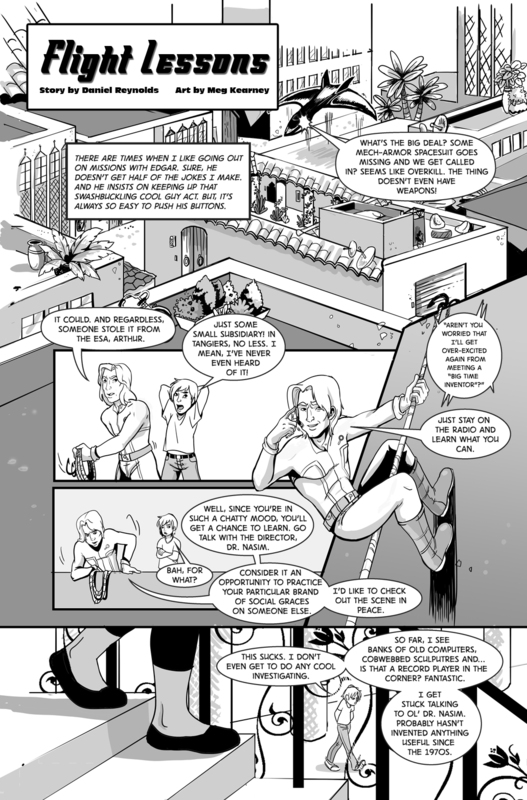 Sam Noir is the writer for Artie is Dead, drawn and inked by Rachael Wells. Savannah MacIntosh has an interesting resume–she’s a mechanic AND an illustrator! As part of the Embassy, she’s hoping to spend more and more time working in the creative fields. 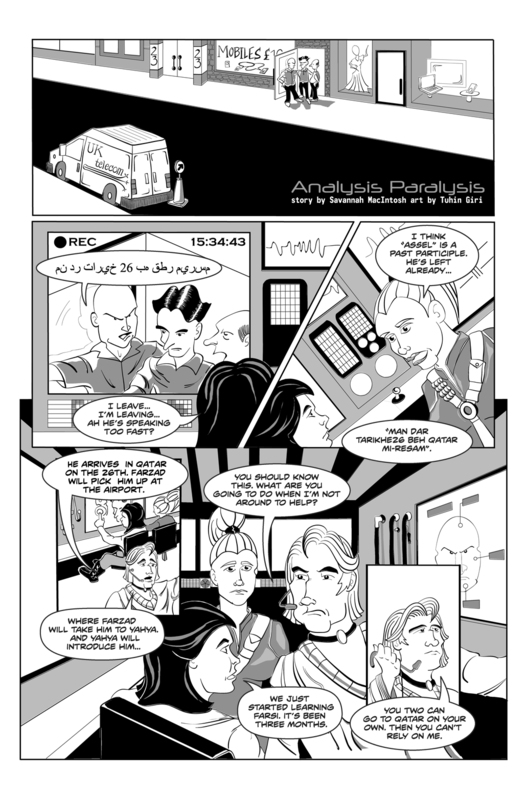 Savannah is also a writer–she wrote Analysis Paralysis for Holmes Incorporated #3, which was illustrated by Tuhin Giri. Then she and Tuhin switched jobs and she illustrated his story, Drinking Buddies. Brice Hall joined the Embassy, officially starting off his career as a freelancer. 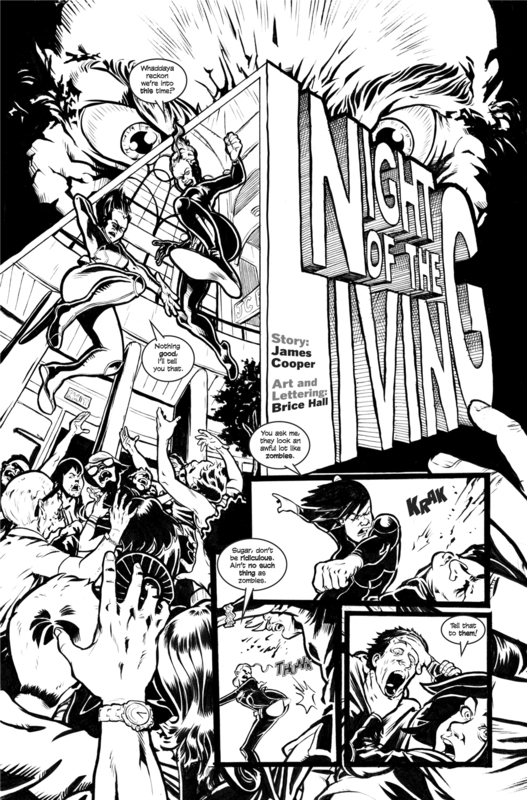 Brice was the artist for James Cooper’s (author of Kickstarter for Filmmakers) story, Night of the Living in Holmes Incorporated #3. 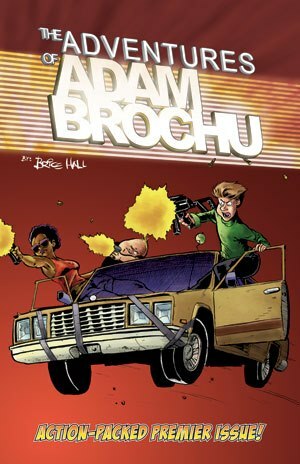 He will be selling copies of his first self-published book, The Adventures of Adam Brochu at the party. Ty and I will be at the party-Ty is hoping that many, many Bootcampers will join us. He’s really looking forward to introducing new Bootcampers to old, and to having people show off their work as well. If you’ve been working on new stuff, if you have interesting projects underway, bring them with you and tell us all about them! We’d love to see ’em and Ty will be available for feedback. After the party…we’ll be heading over to Guerilla Printing, 587A College Street West Second Floor (all the best creators hang out on the second floor!). Guerilla Printing is taking place in ScotiaBank’s Nuit Blanche, (co-sponsored by The Comic Book Lounge & Gallery which shares space with Guerilla, just as we do with the Embassy). There are over 150 possible projects to check out—and one of them isStripArt by our very good friends at GUERILLA PRINTING (and sponsored by THE COMIC BOOK LOUNGE AND GALLERY). 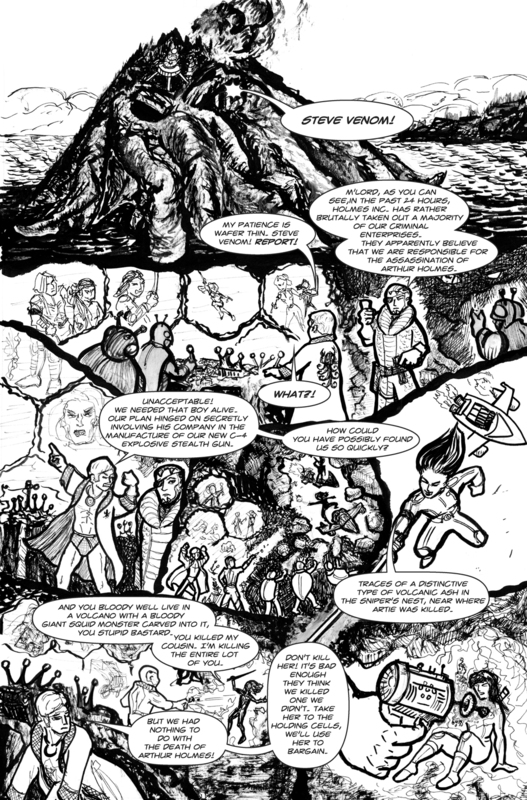 “…will give you the opportunity to participate directly with the medium of the comic book. StripArt will remind people that comics were once drawings, illustrations, thought bubbles of exposition, paper, and panels of art and narrative. 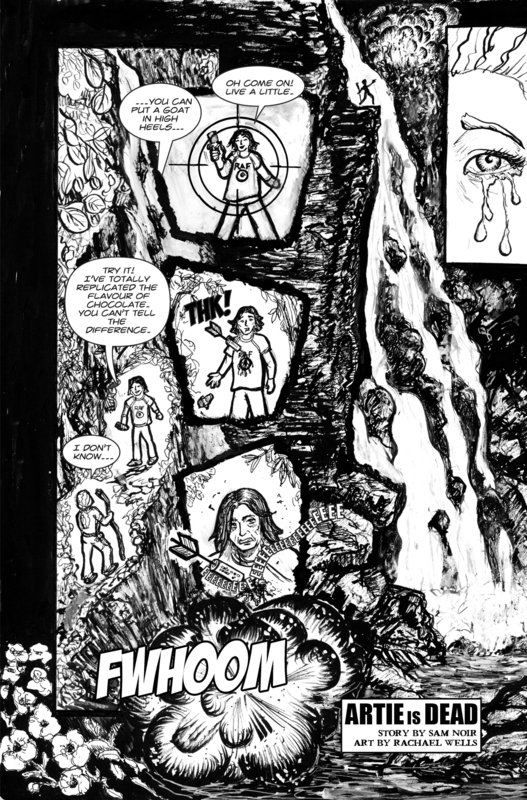 With the assistance of artists, StripArt will give people the experience of making a comic book: of thinking about character and their visual representation; dialogue and characters; of narrative arcs and punchy anecdotes. The project runs from Saturday at 7:05pm to Sunday at 6:05am. During the entire event, The Comic Book Lounge & Gallery will be open so after watching artists create comics in front of your eyes, you can buy new comics! 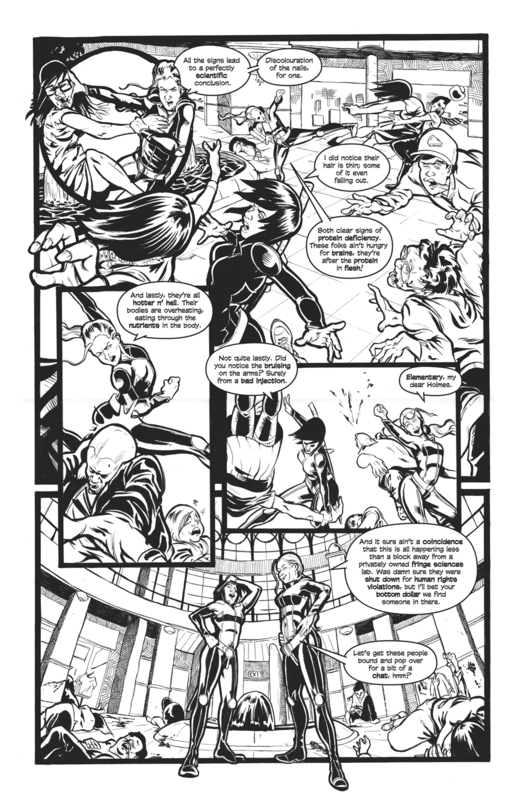 And make sure you check out Guerilla Printingand the services that are available to artists and comics creators. At 587A College Street West (at Clinton) Second Floor, Saturday September 29 7:05pm to Sunday September 30 6:05am. This entry was posted in Alumni, Bootcampers, Comic Book Embassy and tagged Beauty and The Beast, Brice Hall, Comic Book Embassy, comics, Daniel Reynolds, Guerilla Printing, Holmes Incorporated #3, James Cooper, Megan Kearney, Rachael Wells, Sam Noir, Savannah MacIntosh, Scotia Bank Nuit Blanche, StripArt, The Adventures of Adam Brochu, The Comic Book Lounge & Gallery, Toronto comics creators, Ty Templeton, webcomics by comicbookbootcamp. Bookmark the permalink.